When a police officer comes around your car its usually assumed you have done something wrong, but for this situation its the opposite. Eugene Police Lt. David Natt cited the family in their car, instead of him to write them a ticket he booked a nights hotel for them which made the family to find a temporary accommodation while looking for a permanent one. 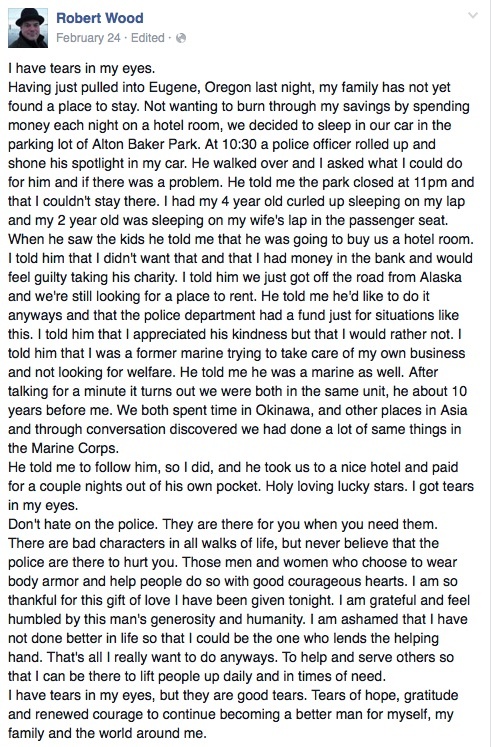 this story restored my hope in humanity! !